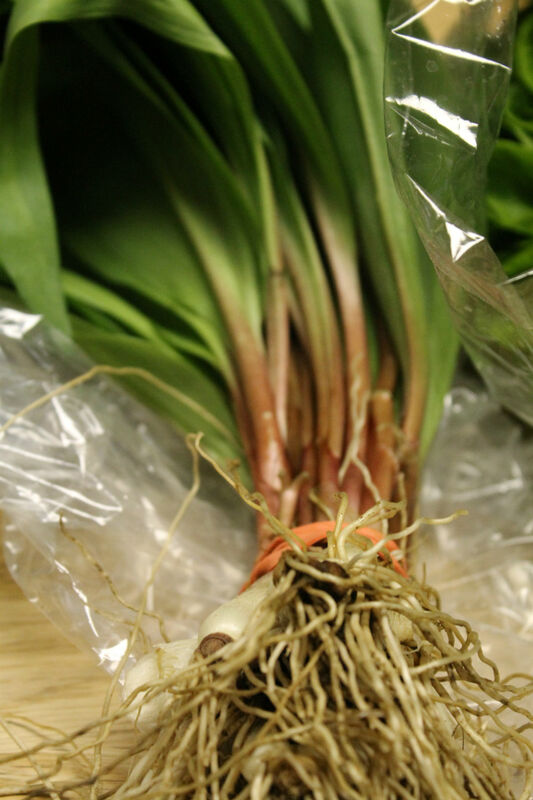 One of the items I’ve been waiting for in the spring share arrived this week – ramps! That and the fact that I’m wearing shorts right now means it’s for real and truly spring! So I know that each week I casually gloss over the lettuce, but can I tell you how nice it is to have fresh lettuce every single week? We eat salads regularly, and I just love having this staple. I know it’s not guaranteed every week, but it’s always welcome. So time out for the lettuce, the unsung hero of the CSA. With that said, the real stars of the show this week are the ramps. If I recall correctly, I had two shots last year at using ramps and only one of my attempts turned out edible. 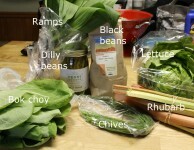 So this year I vow to make a good pasta with ramps. See? 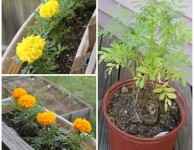 This week’s Oprah voice vegetable! The cornmeal is always welcome. Mark uses cornmeal on the bottom of homemade pizzas, to help it come off the pizza peel easier. (And actually, I really like the grit it puts at the bottom of the crust.) I really need to make cornbread one of these days with the Weatherbury cornmeal. Or maybe corn muffins. Who doesn’t love portable quick breads? 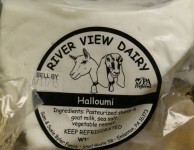 Goat cheese goes in the stash, since we still have some of the last one we got. Probably need to make a pasta with that soon, too. Pasta on the brain, all the time over here. Sorry not sorry. 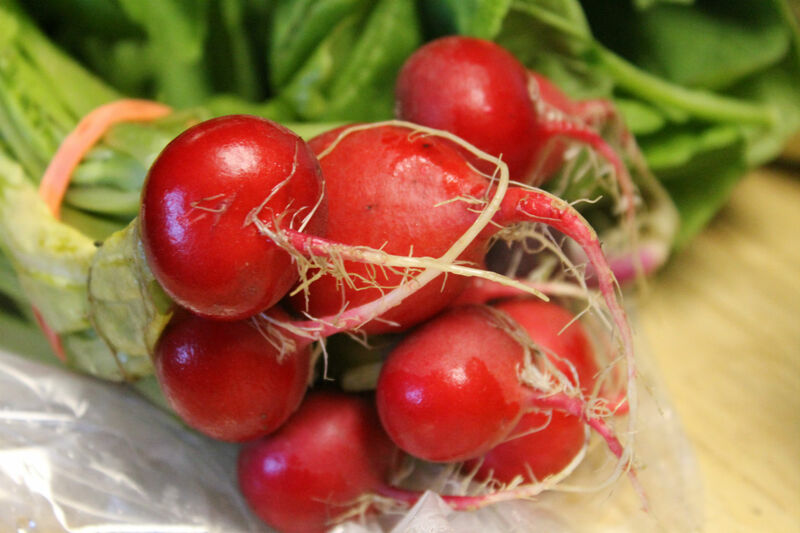 I like radishes in moderation, and these little tiny babies are perfect for radish moderation. They are the perfect size for salad toppings. Tomatillo salsa is another one of my favorite repeats. When you aren’t slathering it all over your Taco Tuesday tacos, you can use it as a simmer sauce for chicken or probably tofu, though that I haven’t tried. Then there’s the apple cider, another love hate thing I’ve got going on. Love the taste, but don’t drink too much of it because I drink primarily water. So we kind of have a stockpile going on again. 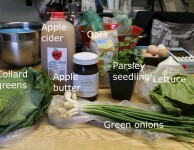 Perhaps I need to have a party and find a recipe for punch that includes apple cider. Or have people over and just put some booze in it? Hmmmmm. So how about you? 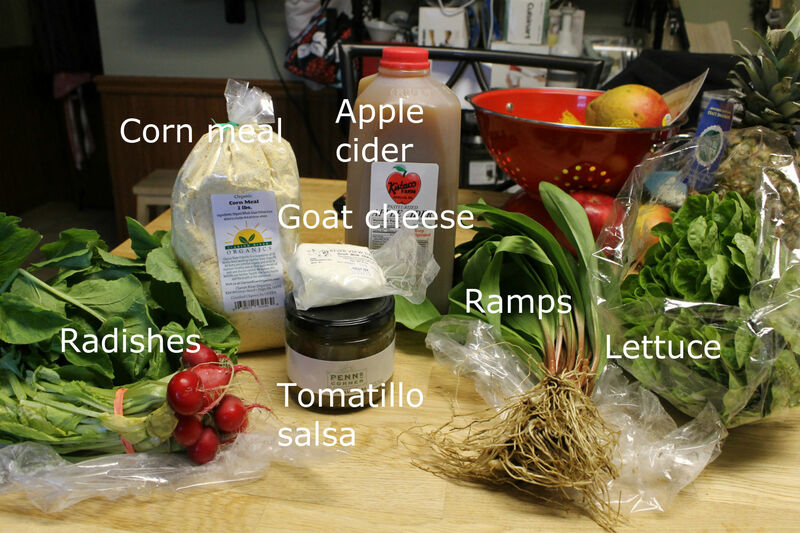 Enjoying the flavors of spring in your CSA? Got any good ramp pasta recipes for me to try to not butcher?